Enables the plug to burn fuel more efficiently and to deliver better performance. As a result, the iridium plugs have a minimum service life of 100,000 miles (service life varies with individual driving conditions). The iridium-tipped center electrode is 50 percent the size of a platinum electrode, and 20 percent the size of a conventional nickel electrode. Superior anti-fouling performance that, along with the tapered cut-ground electrode, offers enhanced flame spread during combustion. 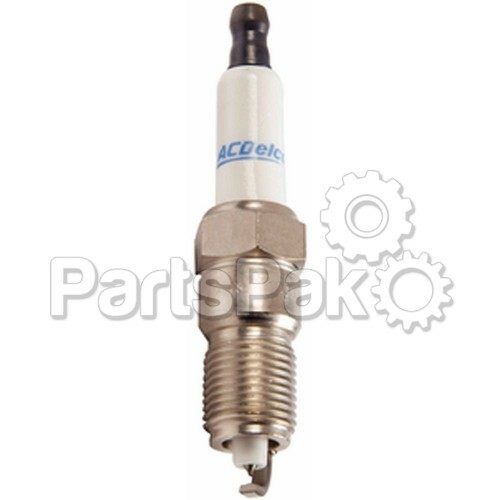 The specially designed electrodes increase the electric field strength at the gap, reducing the voltage required for sparking to begin, for improved cold starting and quicker acceleration. Backed by a 100,000 mile limited warranty.